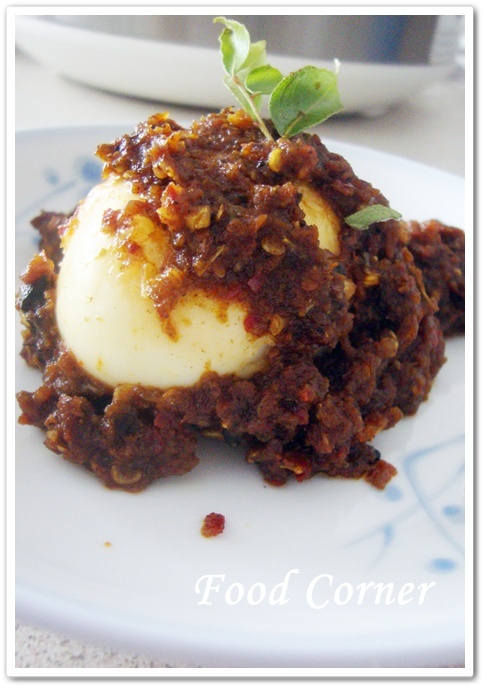 Sambal egg is one of my favourite Malay dish when I eat from outside. 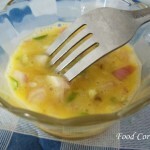 Once I tried to cook this but I couldn’t get the correct appearance & taste. 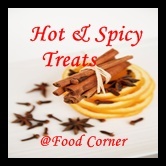 Last week I saw a linked post to my ongoing event Hot & Spicy treats from Daily-Cuppa blog. 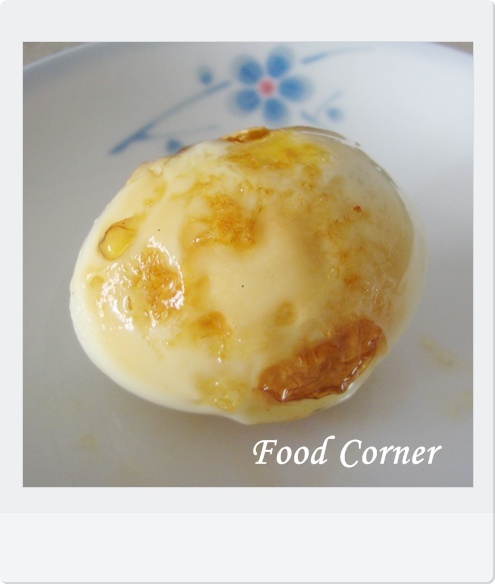 By seen the recipe, I wanted to try it again & it came out nicely. 1 tsp. tamarind pulp, dissolve in 1/4 cup hot water. Blend all ingredients (under blending ingredients) together & keep aside. Heat oil in a pan & fry the eggs until golden brown. Remove & keep aside. Then add blended ingredients to the heated oil. Fry for about 5-6 minutes until oily appearance comes out. 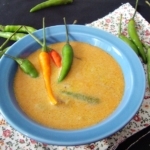 Stir well over low flame and add tamarind juice and sugar. Cook for another few minutes until the mixture becomes thick. 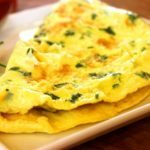 Pour this mix over the fried eggs. 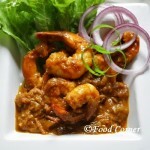 wow luks delectable…fingerlicking gud !!!!! 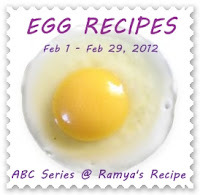 I eat eggs, but can I leave out the shrimp paste.. 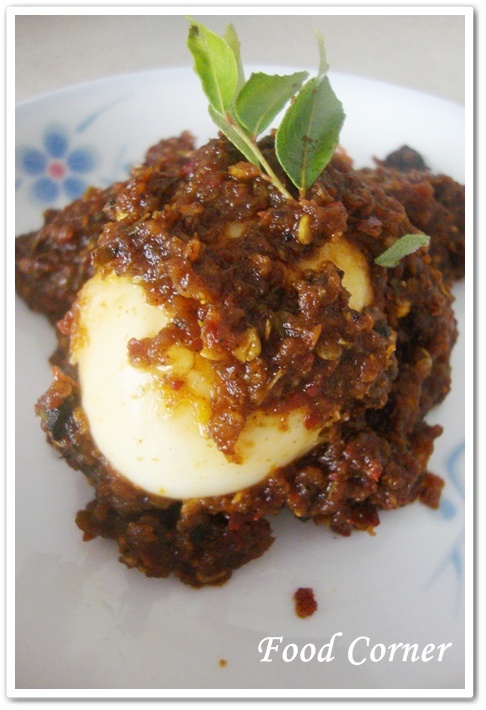 Egg Sambal luks tangy n delicious.Appetizingly yumm clicks Dear. Very alluring one !! looks wonderful !! Bookmarked. and will make it later when the coast is clear. Always wanted to try this. 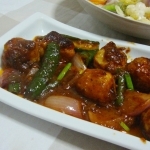 Delicious recipe.Please can you add the event link to your post. 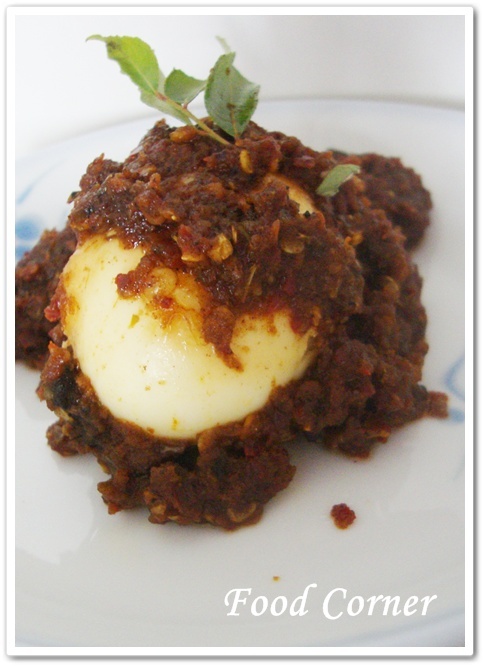 Lovely egg curry, I think the red chilli flake gives that lovely texture!! 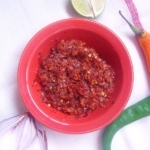 Adding shrimp paste is brand new to me, I’m sure it tasted yum! !